We are a leading Manufacturer of cutting oil and light liquid paraffin from Mumbai, India. M.R.Silicone Industries Cutting oil is a type of lubricant used for machining and metalworking processes. It is also known as a lubricant, coolant, cutting fluid and cutting compound. M.R.Silicone Industries cutting oil forms a milky emulsion with water and contains rust inhibitor to impart anti-rust, anti-corrosion properties and a biocide to prevent bacterial growth in the emulsion and provides longer emulsion life. It gives excellent surface finish and extended tool life. This oil has superior cooling and lubricating properties which impart excellent surface finish and minimises tool wear. For stable emulsion, oil should be added to water. You can use cutting oil for threading machine operations. It is also good for light drilling and hacksaws. Another function of cutting oil is for adding lubrication between the cutting tool and the cutting material. Cutting oil acts as a lubricant to prevent friction and reduce the heat that is generated between the objects being cut. 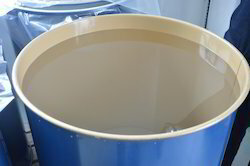 We specialise in manufacturing and supplying Light Liquid Paraffin (L.L.P). Fabricated using very high-quality raw materials, these are extensively used in various pharmaceutical and cosmetic industries for making products like lotions, creams and hair oils along with numerous products of the food industry as well. Highly acknowledged for its quality and purity, our product is very much in demand in the national and international market.